1. Make Good Music. Write Good Songs. Record them well. So often do bands wonder, “How come nobody will sign us?”. There are so many different answers to this question. Sometimes it’s all about being in the right place at the right time. Sometimes it’s who you know. But the easiest and best way to get signed to a record label, is to write good music. Simple as that. That’s not saying that there aren’t bands that write horrible music that are signed. But obviously somebody out there liked it enough for them to be signed to a label. Focus on perfecting your craft and writing great material and the rest will fall into place. There are several definitions of what “good” is though. Good can range from simple arrangements with memorable melodies and hooks to… extremely talented musicians with complex song structures and interesting song arrangements. Good can also mean being completely original and inventive. It all depends who’s listening and interpreting the sounds they are hearing. After you write some good songs, make sure that you make a good recording as well. You could be the most talented musicians in the world and have the most amazing songs ever written, but if the quality of your recordings is poor nobody will want to listen to them. It is possible to get signed to a label with low quality recordings, but it is rare. Recording technology has come a long way and has become more readily available than ever, so it shouldn’t be difficult to find a way to produce decent sounding recordings on a low-budget. A lot of bands nowadays are self-producing major label quality recordings on their own that end up getting released as-is with little to no additional mixing or mastering after they get signed. Having great sounding demos will ensure that your music gets heard by fans and labels alike. 2. Be Marketable.There are several ways to make your band marketable. For some bands they rely heavily on their image or physical appearance for marketability. This means going to the gym and/or coordinating a wardrobe or overall style for the entire band. Some bands have a shtick or a gimmick they rely on for mass appeal, such as wearing masks or costumes on stage or having a big stage production or theatrical aspect to their live show. Other ways you can be marketable include focusing on filling a specific niche in the music market. Sometimes a specific style of music or type of band will become wildly popular and labels will begin scooping up anything that remotely resembles it. Another way to be marketable is to set yourself apart from everything else and be completely different. There are many ways to judge what is marketable and what is not, however it usually boils down to looking professional, interesting, or appealing. It’s one thing to be able to “write” good music and look good – It’s a whole other story pulling it off live and actually sounding like the recording. Nobody likes paying money to see their favorite band and being completely disappointed by how horrible they performed or how awful they sounded. You must be able to play your instruments well and do the recorded songs justice live. Sometimes, because of the evolution of technology and the increase in availability of computers and software, a band will program parts on the recording that cannot be fully achieved by the actual band members. The musicians in the band should be talented enough to perform their parts correctly, as they appear on the recording, and put on a good show while doing so. This is the easiest and fastest way to gain fans and get exposure. People will talk about a great show they went to if the band sounded great and performed their parts well; and the next time you play that venue they will bring their friends and so on and so forth. Another reason to rehearse and practice as much as possible is, if and when a label decides they want to sign your band, they are more than likely going to want to see you perform live. If you can’t pull of a good show, then you won’t get signed. 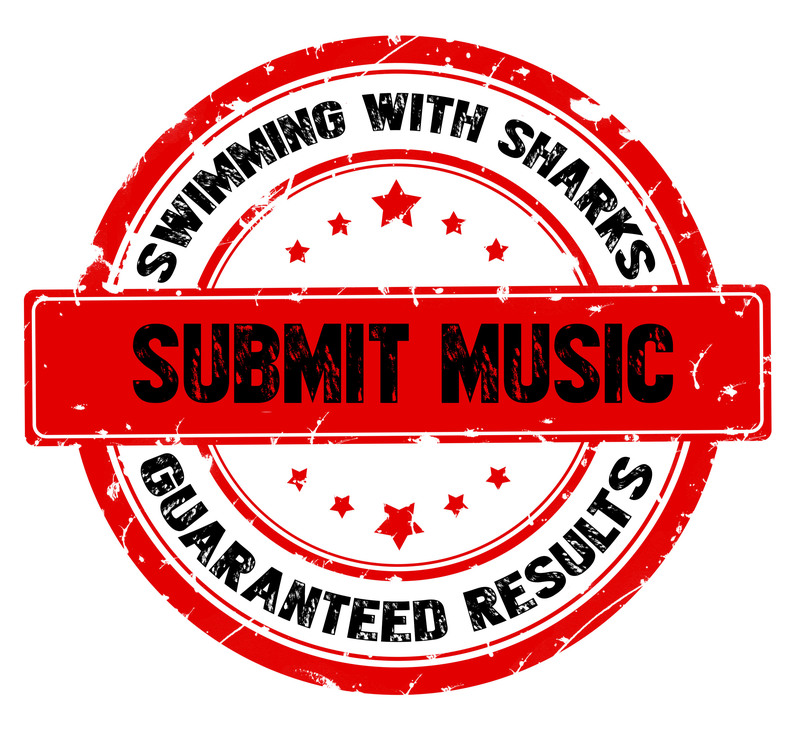 A label wants to see that you are willing to do whatever it takes to become a successful band. They aren’t going to do all the work for you. Many bands and artists are under the impression that the instant you get signed you start making lots of money, get really famous, and go on huge tours with huge bands. The truth is, a lot of bands end up doing the same exact thing they were doing before they got signed, after they get signed to a label. The only difference is, after you get signed, you will be more accessible and your music will be more readily available to the public. Play as many shows as possible and build a local fan base. Play shows regionally and book your own tours even. Advertise on social networking sites. Design and print merchandise and sell it at shows. Press your own albums and cds and sell them online and at your concerts. Pass out flyers and free samples of your music. Get a manager to help represent your band and get you more gigs. Get professional photos taken. Make your own music videos or pay somebody to do it for you. Open up for touring bands and national acts. Do anything and everything you can to get your band noticed. Make your presence known! This is the most important piece of advice for any musician, band, or artist out there trying to “make it”. So many bands never end up getting anywhere because they were too easily discouraged, were too impatient, or simply couldn’t handle the pressure and the competitiveness of the music industry. Often success will not be achieved overnight. Most of the time it takes years and years of hard work and dedication to make it anywhere in this business. Do not be easily discouraged by bad comments or negative feedback, because there will always be haters and critics out there just waiting for an opportunity to voice their opinion or bring you down. Instead, focus on the positive reactions you get and the constructive criticism you receive. For every person out there that hates you or your music, there will be five more that will be fans of what you do or what you create. Do it because you love it. You should be creating art and making music because you love to do it and because it is fulfilling to you; because in all actuality there are thousands and thousands of people trying to reach the same places as you and achieve the same goals as you. Unfortunately most of them will never see their dreams come to fruition because they weren’t sincere in their efforts and were doing it for the wrong reasons or they just simply didn’t want it enough. ”It’s a long road to the top, if you wanna rock and roll.” Have fun and good luck!